A cholera outbreak in Yemen has claimed the lives of 115 people while some 8,500 others are suffering from the infection, medics say. A state of emergency has been declared in the capital Sana’a. 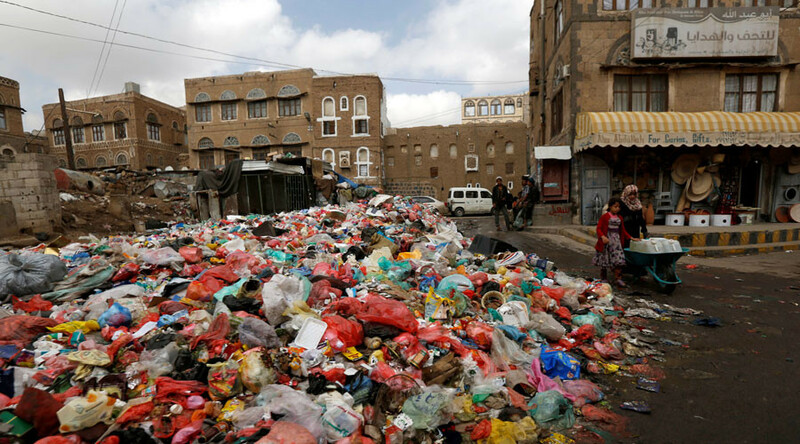 The Yemeni Health Ministry has called on humanitarian organizations and other aid donors to help stop the epidemic and avert an "unprecedented disaster," Reuters reported. The outbreak of the waterborne disease is the second Yemen has suffered in less than a year. “We now are facing a serious outbreak of cholera,” Director of Operations for the International Committee of the Red Cross Dominik Stillhart told a news conference in Yemen’s capital, Sanaa, on Sunday. Citing figures compiled by Yemen’s Health Ministry, he reported that 115 people had died of cholera between April 27 and Saturday. This is a dramatic jump from the death toll of 51 cited by the World Health Organization earlier on Thursday, marking a rapidly worsening situation. Stillhart said hospitals could not accommodate all of the patients, with up to four people seeking treatment per bed. “There are people in the garden, and some even in their cars with the IV drip hanging from the window,” he said. 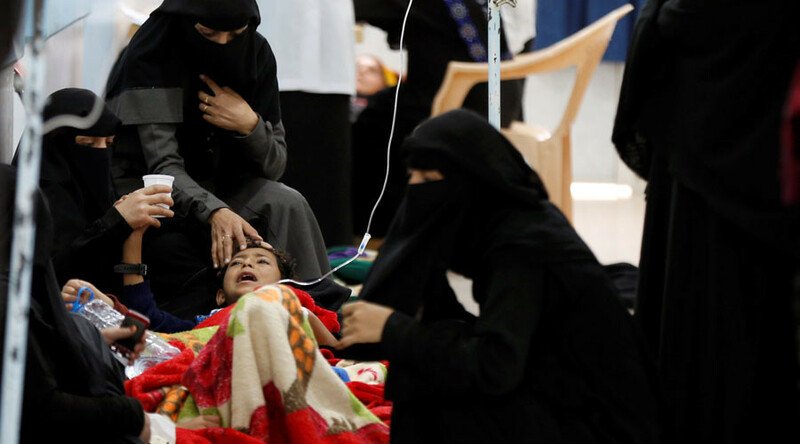 Cholera outbreaks are symptomatic of the dire conditions in Yemen, which is suffering from a two-year-old civil war and a transport blockade imposed by Saudi Arabia, which is supporting one side in the conflict. The blockade is hampering the delivery of crucial humanitarian supplies, including food and medicine, while Saudi airstrikes have contributed to deterioration of civilian infrastructure, such as water treatment plants. The UN says 17 million people in Yemen are at imminent risk of famine. The key solution to the ongoing crisis in Yemen “is that contending parties should provide humanitarian passage,” Idriss Jazairy, UN special rapporteur on the negative impacts of unilateral coercive measures on the enjoyment of human rights, told RT. “It’s more a question whether the parties that are confronting one another are prepared to let them [humanitarian aid groups] access [the affected areas],” he added. Apart from hunger and disease, Yemen residents are falling victim to the ongoing violence in the country, with the Saudi-led coalition having long been accused of inflicting civilian casualties. The coalition has refuted claims that it targets innocent people and accused the Houthis of using civilian installations to conceal weapons and launch missile attacks against Riyadh. “it has become a war zone, and it is extremely difficult for the World Food Program and other suppliers of humanitarian assistance” to deliver aid to civilians. “The priority is to facilitate access of vital food and medicines” to Yemenis, he added.